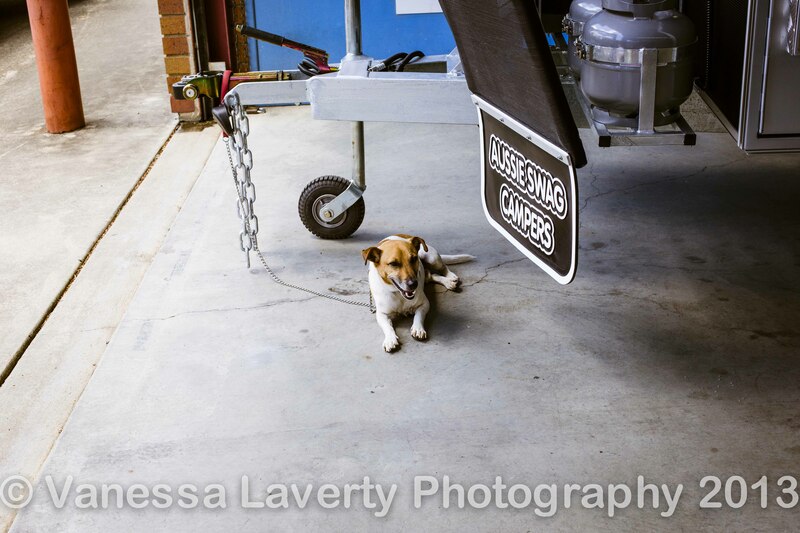 We finished up our camping trip by heading to Brendale and Aussie Swag Campers to pick up our much awaited camper trailer. We have purchased the Ultra D (Diesel) and she is a home on wheels. To see all the inclusions, you can look here. 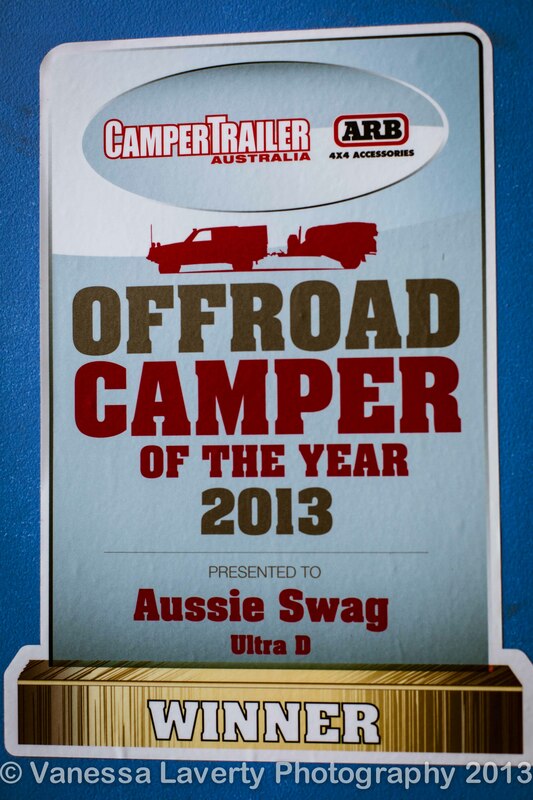 By the way, the Aussie Swag Ultra D won the 2013 Off Road Camper Trailer of the Year – awarded by Camper Trailer Magazine. We arrived at 8am and James began the tour and explanation of everything we needed to know. He was very thorough and left us in no doubt that we had made the absolute right decision for us in purchasing this fabulous trailer. The handover lasted approximately 2.5hrs and was worth every minute. Thanks James and Scott for the fabulous service you have given us. You were very patient with me letting me know when it was time to come and take more photos. We love our Aussie Swag and can’t wait to get out there in the great country that is Australia. Happy New Year to everyone and please stay tuned for more posts about trips coming up. We have planned an Easter trip to Rutherglen in Victoria with a couple of days in the High Country. Whilst Damian is working and I’m still at university, we have to take holidays as we can and whilst it will be a few years before we can enjoy the big lap of 1-2 years around Oz, we will take small trips. I hope you enjoy our blog and images. Well done Damian & Vanessa, she certainly looks the part and has the parts! Can’t wait to enjoy reading more tales of camping adventures from you. Looks great guys, you will have so much fun and adventure in the AS. Thanks for the excellent blog. It’s impressive that you’ve been able to put it together when travelling, especially with the great photos. You certainly seem to have been busy. The Aussie Swag is an impressive camper you’ll love it. 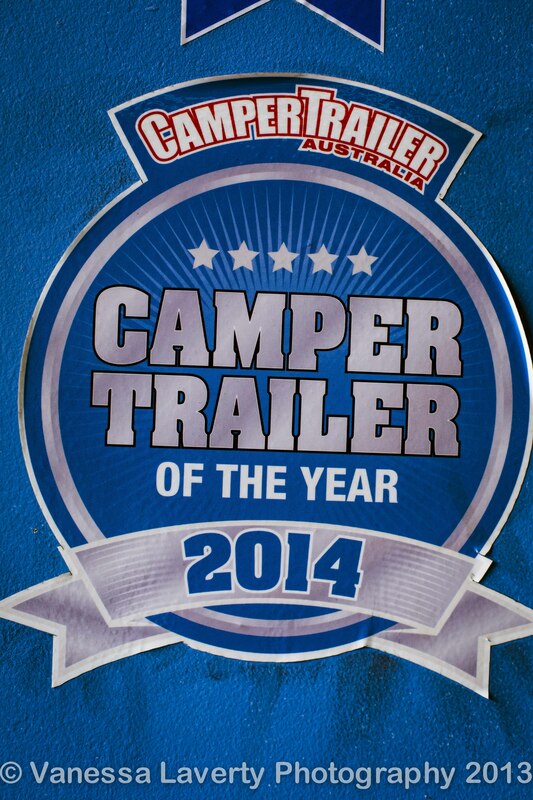 Happy camping and happy travelling. Thanks so much for your feedback Des. We can’t wait to do another trip, even if it’s just for a weekend, so we can post more stories. Happy camping to you as well and keep an eye out for more stories. Congratulations! I remember our hand-over … it seems so long ago. Our Rover is no longer shiny, has some paint missing, a few stone chips, and smells of campfire … but we still love it like we did on the first day … only more so now due to it’s use. 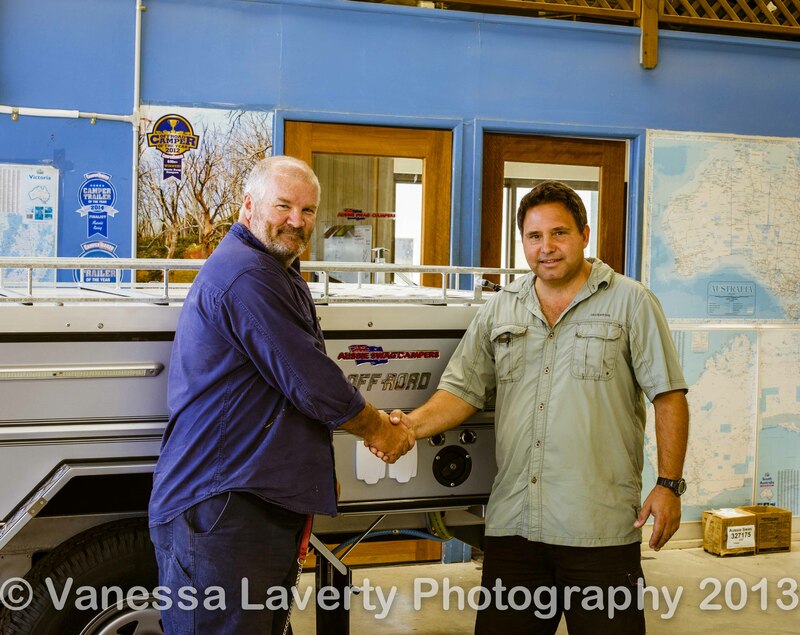 Scott reckons our Rover is the most used Aussie Swag he knows of! Works for us! what a wonderful purchase…. may you have many new adventures! Hi – glad you enjoyed my blog. Really it’s about how passionate you are about something. I’m passionate about photography and camping, so really, I just write about what I love to do. Write about what you’re passionate about and the rest will come.